Home/Educational Content/Which wines should you pair with Halloween candy? Halloween is the time for elaborately carved pumpkins on every doorstep, the excited shrieks of small children that echo in the cool fall air, and bucketfuls of Halloween candy. 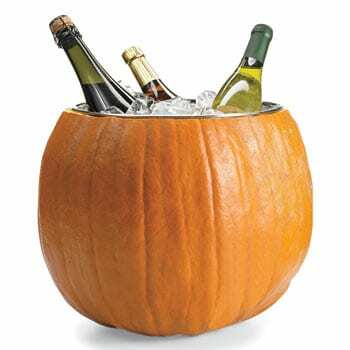 If you’re hosting a Halloween party this year or you’re prone to nibbling on your kids’ candy when they’re asleep, why not indulge in some of these awesome Halloween candy and wine pairings to really get into the spirit of the season. The grape Gamay is used in the Beaujolais region of France to produce deliciously light and fresh red wines. If you love peanut butter and jelly sandwiches this is the perfect combo for you! Thanks to something called carbonic maceration where the grapes start to ferment without access to oxygen, many Beaujolais wines have delicious red cherry, banana, kirsch and even bubblegum aromas and flavours. This light, fruity character is a perfect foil for the rich peanut butter and chocolate in the Reese’s Cups! If you’re reaching for candy that has tart or tangy fruit flavours as well as a good dose of sweetness, pick a wine that is light and fresh. A crisp, elegant rosé from Provence in southern France would make a great match for Starburst candy thanks to the exuberant aromas of raspberries and strawberries you typically find in these wines. Similar to the Reese’s Cups pairing above, this pairing works thanks to the fruity character of the Pinot Noir grape and the rich chocolate flavours of the candy. A great choice for this match would be a young, fresh red Burgundy with lots of ripe cherry and plum flavors. This to-die-for combination tastes just like raspberries dipped in chocolate! 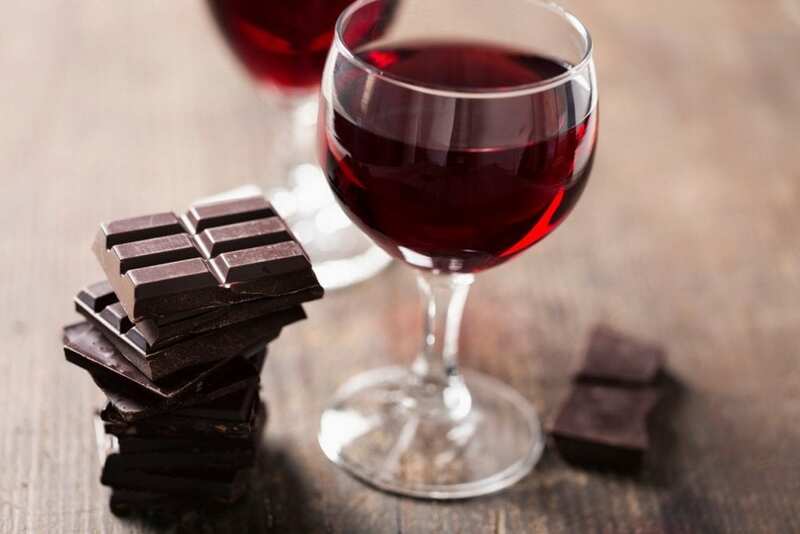 The fat and protein in the chocolate also actually help to soften the tannins in the wine, making it seem velvety smooth on the palate. This combo works best with powerful but well-balanced Syrahs which have intense dark fruit flavors to harmonise with the cocoa and enough elegance and acidity to handle the creaminess of the milk chocolate. Great choices would include a bold yet graceful Châteauneuf-du-Pape like the Roque Colombe red from our recent French wine club shipment or a smooth Côtes du Rhône red blend which will probably feature some Grenache, Mourvèdre and Cinsault grapes as well as the Syrah. These sugary treats need a slightly sweet wine to pull off the pairing, so your best bet is an off-dry Riesling from the Alsace region of France. These wines have some residual sugar which gives a hint of sweetness to match the sugar in the candy, while also having enough acidity and crisp fruit flavors to stand up to those deliciously tangy Nerds flavours. These moreish malted milk balls are easy to pair with wine since they have a pretty simple flavour profile. A good bet would be a young and fruity red wine like a Grenache-led blend from southern France or the Rhone Valley. These wines often have delicious dark berry and spicy notes which combine beautifully with the chocolate coating and malt flavor. The perfect combo for a quiet night in after the kids are safely tucked up in bed! These tempting candy treats have a rich peanut butter centre coated in milk chocolate so the ideal wine pairing will be something light and fresh to counteract all that richness. Great options would be unoaked Chardonnays like a crisp Chablis or even a young white Burgundy with plenty of bright acidity and citrus flavors to cut through the heavy chocolate and peanut butter. A good way is to think of the wine here as a palate cleanser, helping to refresh your palate after each bite of candy! This combination is just heavenly thanks to the ripe fruit character of the wine which harmonises with the nutty, caramel flavors of the Snickers bar. Try to select a Merlot which has been aged in oak as the vanilla and sweet spices from the maturation in barrels add an extra dimension to this pairing! 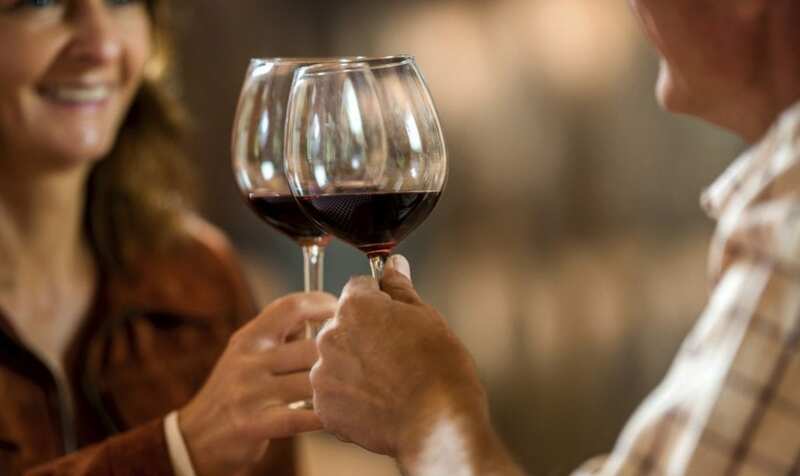 Excellent options include red Bordeaux wines produced on the Right Bank as these will typically have higher proportions of Merlot in the blend. Wines from the Left Bank of Bordeaux which tend to have more Cabernet Sauvignon in the blend can also make great matches for chocolate candy as long as they are not overly tannic or too powerful.